Nestled in beautiful Mays Landing, New Jersey, the owners of The Fireplace Shanty pride themselves in supplying and installing the highest quality fireplace, stove and chimney products to their customers. As a second generation, family-owned business dedicated to the client, The Fireplace Shanty provides excellent service, safety and knowledge. The Fireplace Shanty can help you find the product that is right for you, and they can professionally install and/or service any product, new or existing. Please feel free to contact us with any questions or comments at (609) 625-0036. We install gas, wood burning, and electric fireplaces, as well as wood, gas, and pellet stoves. 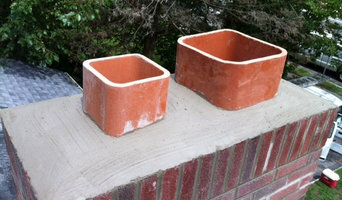 We also provide (and install) chimney caps, dampers, and liners, as well as any required chimney repair. 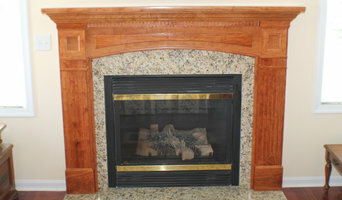 We have an on-site wood shop, to create and install beautiful custom mantels. Check out our website to view samples and learn more about us! Davis Brothers Chimney Sweep & Complete Masonry Family Owned and Operated. 5 Generations of Dependability Located at 6216 Black Horse Pike Egg Harbor Township, NJ 08234 (609)241-8512 Welcome to Davis Brothers Chimney Sweep & Complete Masonry. We offer complete chimney, and masonry and home improvement services. Our company has been serving the needs of residential and commercial customers in All throughout South Jersey, Pennsylvania and the surrounding areas since 1940 with exceptional service, Free Estimates and affordable prices. We can help with everything from routine maintenance and emergency service to design and installation. Our services include chimney cleaning, chimney repair, chimney Caps, chimney relining and much more. It is recommended that chimneys be inspected annually for health and safety reasons. Chimneys cleaned by a professional chimney sweep removes build up of soot and creosote from inside the chimney to reduce the risk of fires and prevent toxic fumes from entering your home. Your safety is our goal. Davis Brothers Chimney Sweep and Complete Masonry is fully bonded, insured and licensed and insured. The chimney sweeps and contractors on our staff are knowledgeable and experienced to provide you with exceptional service that you deserve for every job. We guarantee there will be absolutely no mess. We will leave your home as clean as it was when we arrived. Please contact us to request an appointment. We specialize in Fireplaces & Outdoor Living. What should you know about buying a fireplace in Rehoboth Beach? Since wood smoke contributes to air pollution, many cities have banned the use of wood-burning units. If you’d like to buy a wood burning unit, check the Rehoboth Beach, DE city policies first. If your home already has a wood-burning unit that you’re concerned about, contact a fireplace manufacturer to replace your wood-burning unit with an environmentally friendly electric or gas alternative. Gas inserts can be efficient heaters and may lower your electric-heat bill. Many adjust to provide high heat on a cold night or a low-burning flame for ambience. Interior fireplaces and mantel designs are as varied as home interiors. From custom fireplace mantels made to conceal a flat-screen TV to custom hearth designs with elaborate Renaissance-style stone mantels, the latest designs can be found by visiting Rehoboth Beach, DE fireplace showrooms. Find fireplace manufacturers and showrooms, plus fireplace installation professionals, on Houzz. 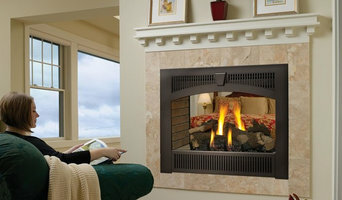 Go to the Professionals section to find Rehoboth Beach, DE fireplace design and installation experts.